Hamburg, 5 September 2018 - Come to the SMM in Hamburg from 4-7 September and visit the Röchling booth: Hall A5 105. 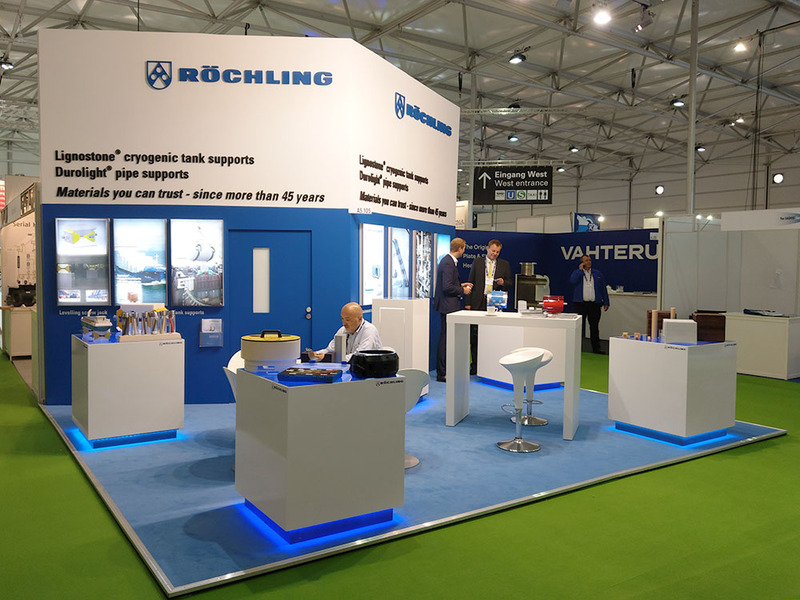 For the first time Röchling exhibits at the SMM, the leading international maritime trade fair. At our booth you will find our products especially for shipbuilding. With our product Lignostone® cryogenic, we offer you a unique material manufactured from selected beech veneers. With its extraordinary properties Lignostone® cryogenic is the ideal material for cryogenic tank insulation in LNG and LPG carriers. Among other things, Lignostone® cryogenic has a very good temperature resistance and withstands strong mechanical loads. With our Durolight® product line, you will find an insulating composite material especially designed to meet the thermal and mechanical requirements of load bearing supports. Take the chance and talk to our experts about the advantages and applications of our thermoplastics and composites. More information about our cryogenic insulation materials. More information about cryogenic insulation for lng fuel tanks.